TRENCH – full of action and adventure! 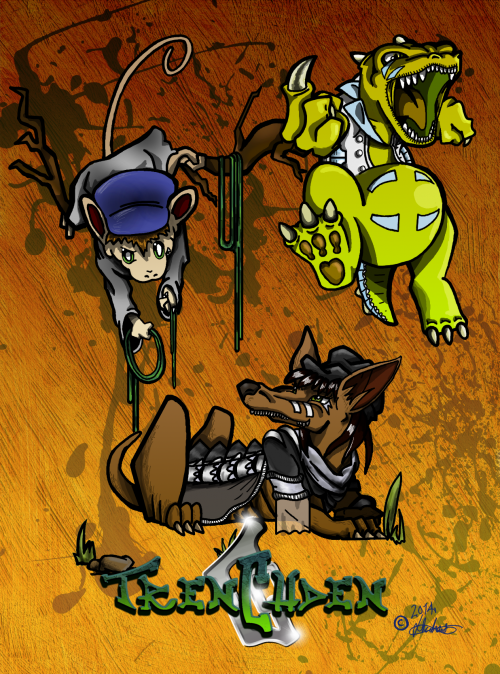 (the character of Trenchden is somewhat urban and Grungy) The atmosphere is nice and peaceful, until it is disturbed by a mysterious gang that are attacking and robbing for their own gain. Black Ice, leader of the main authority known as the “Trenchden Guardians”, gives mission briefings to his officers who investigate the gang and find out how dangerous the gang really is! Black ice is also the leader of one of the tribes. From then on, it leads to an unexpected adventure! The characters are all cartoon styled. (as you may have guessed.) Cheers for looking, hope to be more free enough to actually post something here soon. Bye and thanks again. The title of the comic I’m creating is called Trench. This is a text design for this title. The story is an action based story set in a fictional Region called Bronzvice, in which are the 2 major settings, Yendel Kingdom and Trenchden Republic. Soon, I will upload the storyline. I also have character and landscape images to upload here too. This is just an idea for now, but it may go somewhere in the future. A couple of random sketches of things… Mostly related to my comic (and no, this does not include the lips drawing -.-). 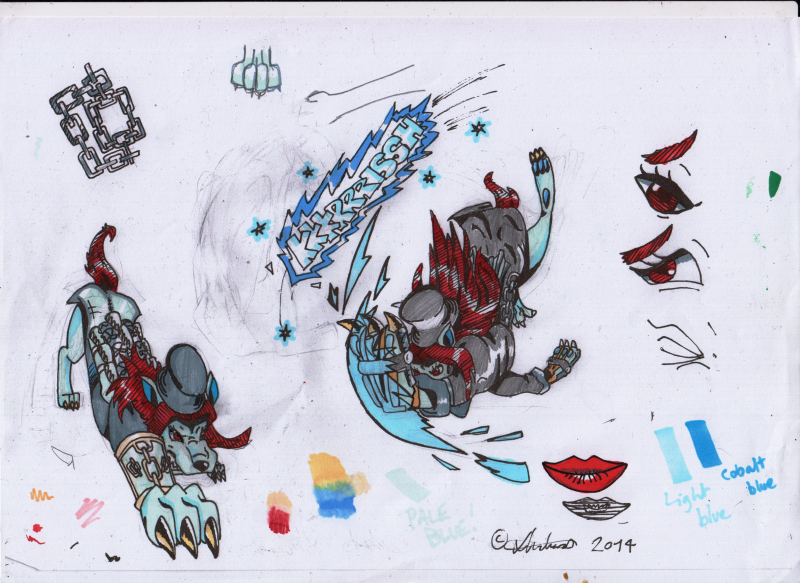 Top- Sketches of my trademark character Lazfar who is planned to be a star character. 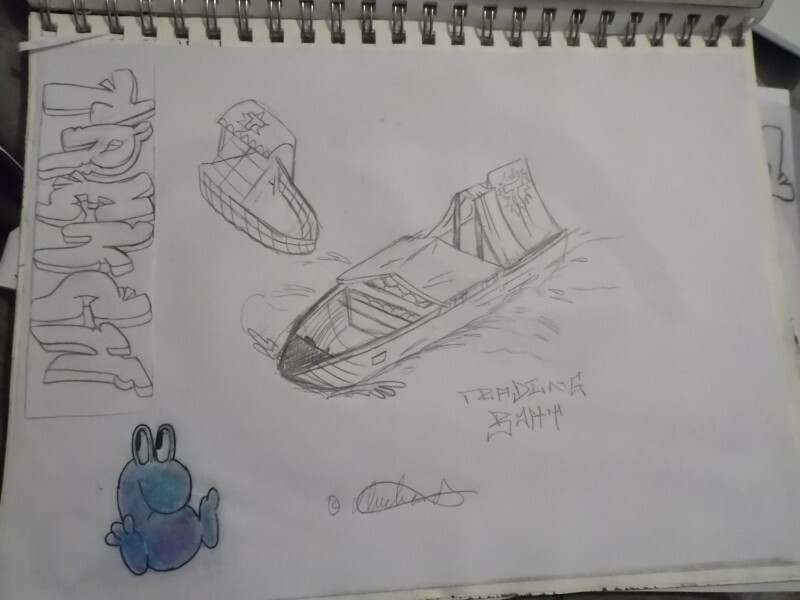 Bottom- a sketch of a boat that might appear in the story, plus how the title could be written. I have an idea to create my very own action comic! Here are a couple of draft characters that might appear in it. Names: Pride -(top left) Ikap -(top right) & Quartzlagg (bottom) I plan to name it, Trenchden (or Trench for short) 😉 Enjoy!